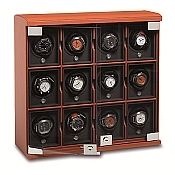 Your automatic watches are a significant investment. 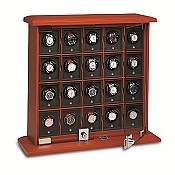 Shouldn't you protect that investment with a product that has been designed with the same attention to detail as the watches themselves? 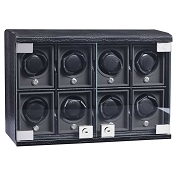 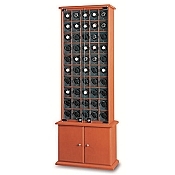 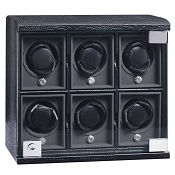 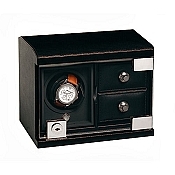 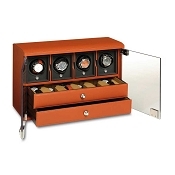 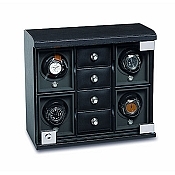 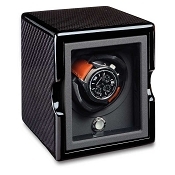 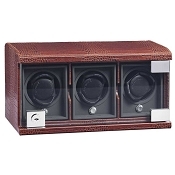 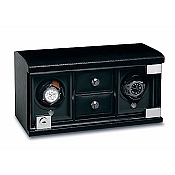 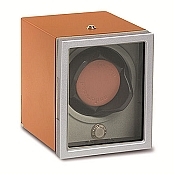 We think that once you've seen all the benefits offered by this system, you'll agree that, whether you have one fine automatic timepiece or 100, they all deserve the protection of the Underwood Rotobox Modular Winding System. 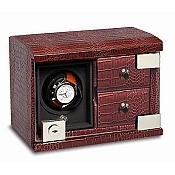 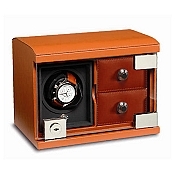 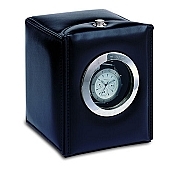 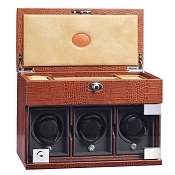 Underwood Italia (formerly Underwood London) crafts its signature watch boxes in vegetable tanned leather. 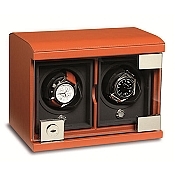 Imagine a watch winding system that was designed to accommodate virtually any automatic watch; a system that would enable you to power each module individually, so that you never had to waste power turning empty units; a system that would allow you to remove one or more modules for travel or for storage in a safe; a system that was designed and built by the master craftsmen who create the boxes for many of the world's leading watch brands; a system that was built from only the finest combination of high-tech materials and natural, vegetable-tanned fine grain leathers; moreover, a system that actually costs less than virtually any of the ordinary watch-winding boxes which lack these features-imagine all that, and you will have a good idea of the revolutionary Modular Winding System now brought to you by Underwood. 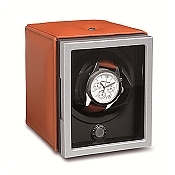 This extraordinary concept applies the principles of advanced design and engineering to keep your fine automatic watches wound when you're not wearing them. 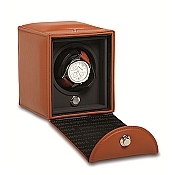 And it does this with an elegant, building-block architecture which provides a foundation you can build on as your watch collection grows. 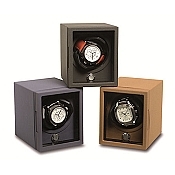 This architecture leads to a flexibility that perfectly complements your lifestyle, with your watches ready for anything at a moment's notice: ready to wear without winding or resetting the date, ready to travel, or ready to go into the safe for a year or more, until that next very special occasion.